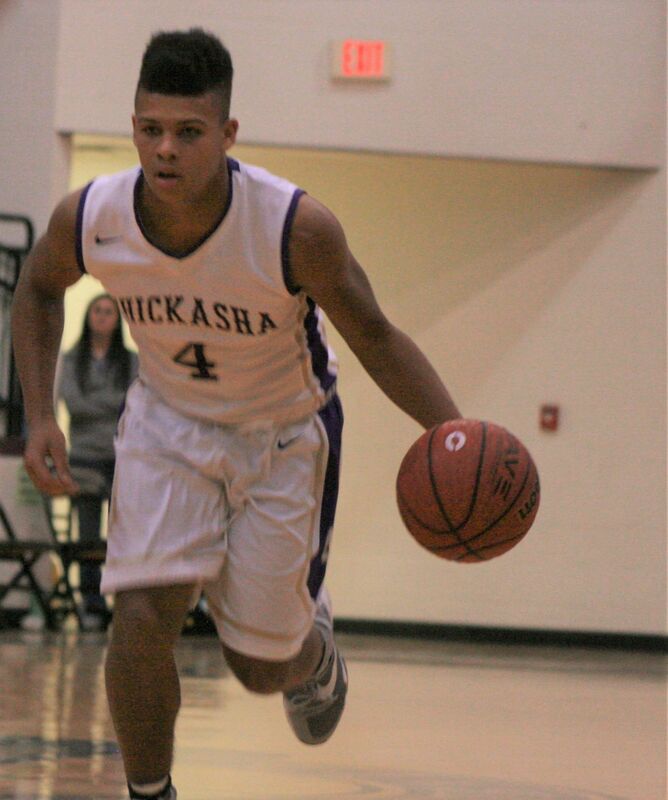 The Chickasha Chicks beat the Noble Bears, by the score of 43-39. The Chicks were led by Junior Seth Alexander. He had 12 points and 7 rebounds. The Bears were led by Jason Maxwell. He had 13 points and added three 3-pointers. The Chicks got outscored in the first quarter 14-6, following a quick 9-2 run by the Bears. During the 1st quarter, Senior Ethan Christian scored 4 points. The Bears had five 3-pointers during the first half and were led by 3 from Jacob Wilcox. During the 2nd quarter the Chicks outscored Noble 18-12, to make the score 26-24 Noble going into the half. Heading into halftime, Alexander had already scored 8 points. To open up the 3rd quarter, Seth Alexander made a two-pointer, to tie the game at 26. The Noble Bears didn’t score their first basket until 2:14 left in the 3rd quarter. The Chicks would eventually win the 3rd quarter out-scoring Noble 8-3. The 4th quarter was very back and forth quarter. The Sophomore Deonte Wash took a charged with 20 second left to help secure the game. The Chicks would win the 4th quarter with a score of 11-10. The Bears had a chance to take the lead, but 6’9 Junior Trey Hoops missed the game tying lay-up. Chickasha largest lead was 5 and Noble’s largest lead was 8 early in the first quarter. The Chicks finished with 14 turnovers and the Bears finished with 16. The Chicks got great minutes from Sophomores, Austin Albright, Deonte Wash and Jordan Jackson. Seth Alexander- He scored 12 points off the bench, and added 7 rebounds to his stat line.